I'm not going to bore you a great deal but I just have to talk about the greatest thing I got for Christmas. 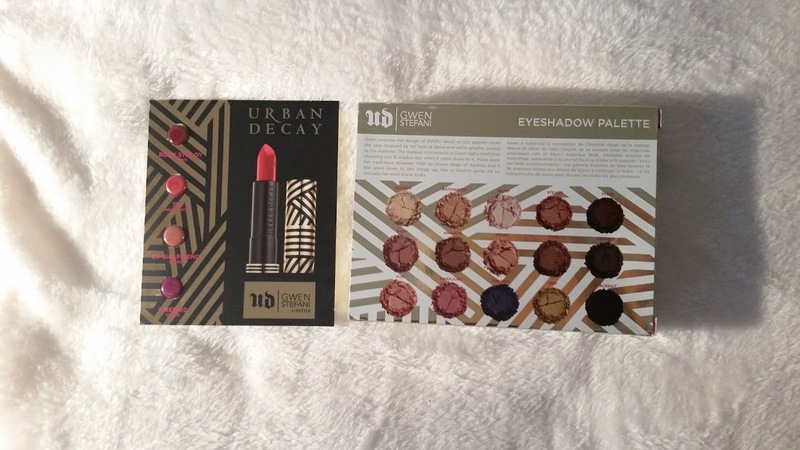 The Ubran Decay x Gwen Stefani Paletee (RRP £40) is everything is has been described as and more. It is such a odd collaboration but I love Gwen Stefani's music and when I saw that she was bringing a makeup range out - I had to get my hands on it. 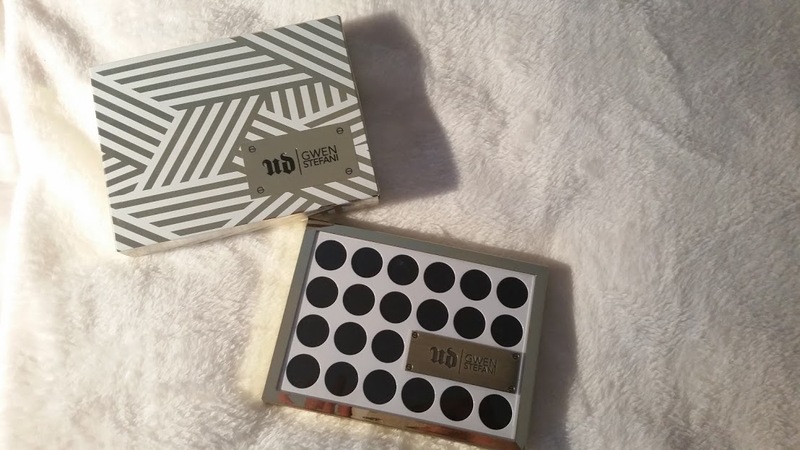 The 'thing' that makes Urban Decay one of my favourite brands is there packaging. They put every attention into the design and when you feel it o use it the luxury feeling is screaming at you. I love the Technic and disco vibe design of this palette, but got a little confused when I opened it up. The box which is the top item in the picture above, is all patterned and geometric. But then you open up the box and the palette is like empty eye-shadow pans. Odd? Maybe its just me, but I like to have continuity. 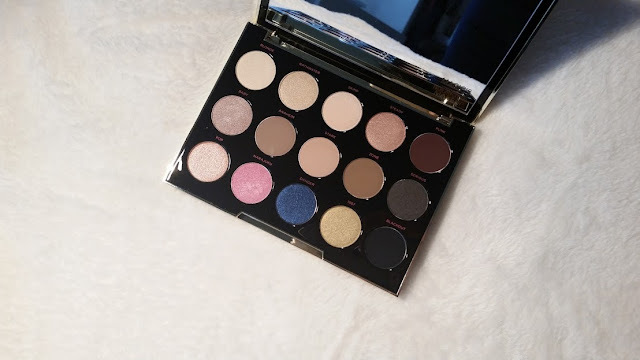 When you open the palette you are greeted with a gorgeous sized mirror with a quote saying 'magic is in the makeup' and then 15 stunning eye-shadows. All encased in a sleek black case and engraved with gold writing. 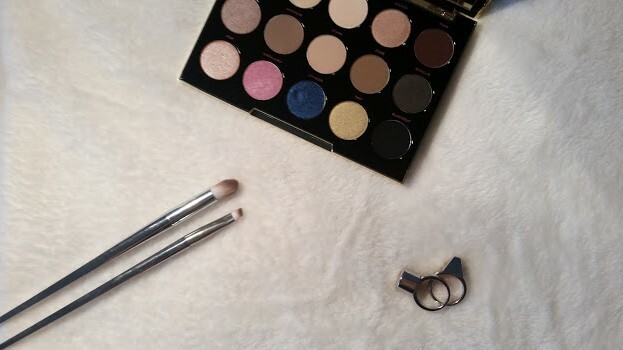 This array of amazing-ness includes a mixture of sating, matte and shimmery shades. 12 of these have been created and designed by the lady herself and then 3 are her personal UD favourites. Each shadow is like butter. As soon as you pick it up on your brush or with your finger it glides straight on. The texture of them is like a soft cosy blanket and when you apply them to your lids you can feel the softness of them. They are all also very blendable and you are able to mix and match to create a range of different looks. The last three shades on the top row and the first three on the second row are my personal favourites, I seem to be mixing them together in some sort of way to create a very subtle smokey eye. Some of the colours such as the blues, I would never touch because I am not brave enough but maybe one day when I pluck up some courage. Urban Decay are very locley as in they always give you something free with a palette. The past few times with the NAKED palettes its been primer, always handy. This time around, its been samples of the Gwen Stefani lipsticks that are coming out soon. Urban Decay are now making them available in the US along with a blusher palette which looks gorgeous, hoping they make a visit to the UK soon. To sum it all up in one word. Superb. This collaboration is everything you would hope for and more. 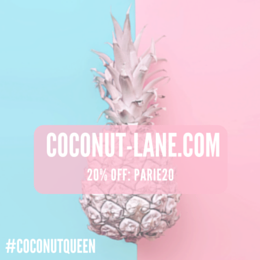 Have you tried this out yet?